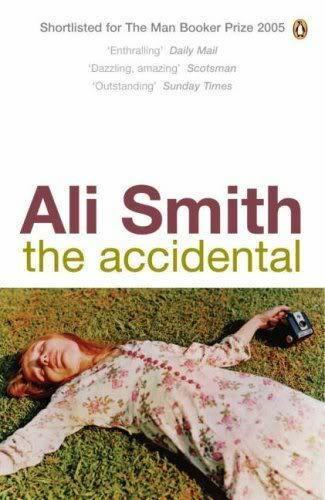 The Accidental is a book that leaves you racking your brains to think of some connection between the events, some clue you might have missed in an earlier chapter. The book starts out sounding as if it will be one of those clichéd 'feel good' stories about a mysterious stranger bringing a troubled family closer together and teaching them how much they mean to each other, or something trite like that. But the reality is much more interesting and bizarre. The book is divided into three sections, with each chapter focusing on a different character's point of view. The first voice is that of Astrid, a curious and imaginative twelve-year-old girl, who is being bullied at school and never goes anywhere without her camcorder. Then there is her brother Magnus, a troubled teenager who is struggling to come to terms with the guilt of driving a girl at his school to suicide. Their mother, Eve, is an author who writes fictional historical biographies of people who died young, imagining how their lives would have turned out if they had survived. Her partner Michael is a university lecturer who sleeps with his students and is going through a mid-life crisis. Into this dysfunctional family arrives Amber, a drifter with an unconventional view of the world and a way of drawing in each member of the family and getting them to trust and confide in her. But Amber's intentions are far from kind, as each character soon begins to realise. This book is written in an unusual, stream-of-consciousness style, particularly in the chapters following Astrid and Magnus. Occasionally the chapters take on the form of an interview or fragmented poetry to reflect the character's state of mind. By far the most enjoyable and well-written chapters are those following Astrid. Smith perfectly captures the internal monologue of an adolescent girl, who seems to go through phases of overusing certain words, or obsessing over one particular idea. I liked Astrid immediately, and a part of me wished that the whole novel was written from her point of view - not because the other characters' chapters were bad, but because Astrid's were so very enjoyable. I really enjoyed this book and it stayed in my mind for a long time afterwards, but I did sometimes find my mind wandering while reading Michael's or Eve's chapters. I just didn't find their stories or narrative styles quite as interesting as Astrid and Magnus'. But overall, the book was cleverly written and exciting enough for me to read in one sitting in order to find out how it would all end.